Want to know what’s going on in the Philippines? 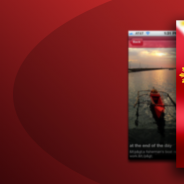 Then Philippines NewsFeed is the app for you! Everything you need to keep up with what’s going on in the Philippines and Filipinos around the world is now in “ONE” easy-to-use app. ★ Komedi (Comedy) – English ang Tagalog jokes. ★ Kodakan (Photos) – Collection of related photos of the Philippines and Filipinos. ★ U-choob (Videos) – Easily accessible queries of the Philippines and Filipinos from YouTube.com. ★ Twit Twit (Twitter Feed) – Easily accessible queries of Philippines topics from Twitter. ★ Horskop (Horoscope) – See what’s in store for your daily horoscope today. ★ Send us your own photos and feedback from within the app.